One could say that this is a fitting end for a week of Euro cruelty, yet another hit on the vulnerable. 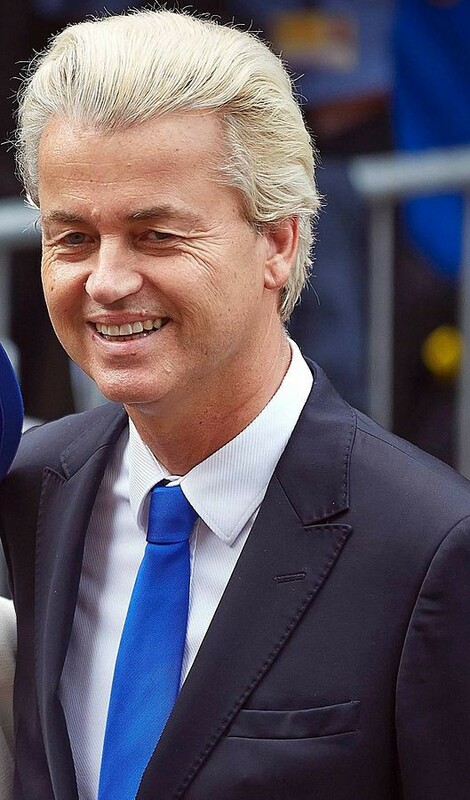 Geert Wilders, the Dutch poster man of the rabid, angry racists all over the Western world has released a new “platform”, which he calls a “manifesto” in view of next year’s general elections in The Netherlands. I could write so many words explaining point by point why this is outrageous, unacceptable, racist, discriminatory. Instead, none of those words would get to the heart of the problem. His platform is all of those things but there is another word, usually not used in political analysis that applies better: his platform is deliberately hurtful. If the kind of political cruelty I’ve been writing about lately could be summed up in bullet point format, this would be it. I don’t have anything else to add except: according to the latest polls, his party is slated to win the elections. As if it was any consolation, political analysis claim that, even though he’s the likely winner, he probably won’t be part of the next government since other parties will probably refuse to work with him. This, of course, says nothing of the sheer volume of people willing to vote for these ideas and what it means for the safety and well being of the victims. His supporters, emboldened by the popularity, are not very likely to abide to ideas of “conviviality” or civility. This platform is not gratuitous. It did not spring from hot air, suddenly coming to life. 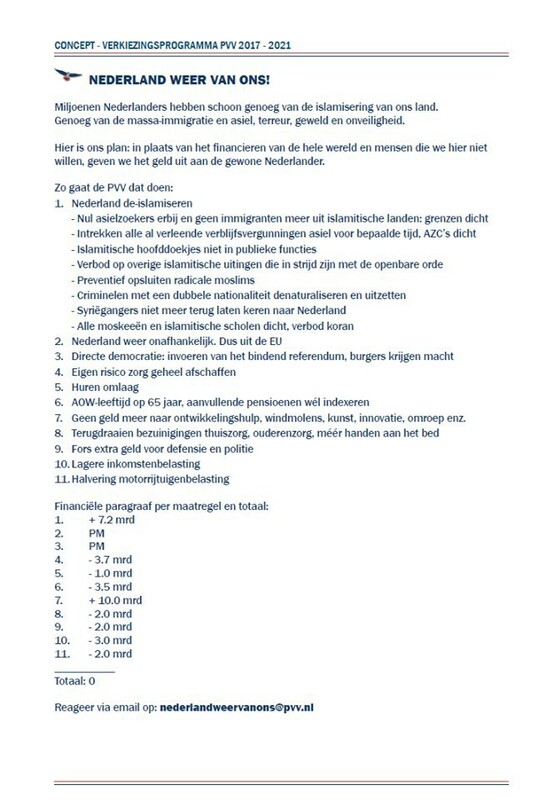 It is born out of the complicity of Dutch media and all the political parties that have allowed these ideas to grow on a year by year basis either unchallenged or with lukewarm reactions. Politicians of mainstream parties (I am looking at you, D66, Green Left and Socialist Party), afraid that if they are too vehement against him, they might alienate their own voter bases. It exists in the context of a society that openly celebrates racist abuse every year and a corporate world that profits from it naming it “tradition” or “heritage”. This platform, that brings to mind some of the darkest days of European history, calling for the ban of an entire religion, is part of a larger genealogy of hatred for the other. Geert Wilders did nothing terribly original. He just put it in words and is running with it.